Jacinda Ardern, New Zealand's prime minister, speaks during a news conference in Wellington, New Zealand, on March 21. 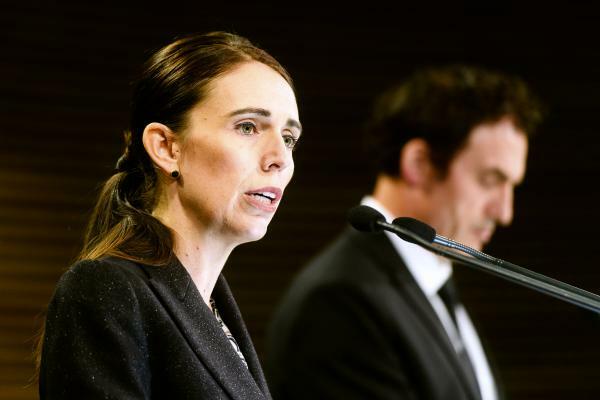 New Zealand has banned military style semi-automatics and assault rifles and will establish a nationwide buyback of the weapons as a result of the terrorist attack on two mosques that left 50 people dead. According to the text of the legislation, it "seeks to remove semi-automatic firearms from circulation and use ... in New Zealand." It bans "semi-automatic firearms, magazines, and parts that can be used to assemble prohibited firearms," as well as certain ammunition. "Military style" weapons will also be banned. Ardern told lawmakers she couldn't face the victims left behind and tell them she was OK with such dangerous weapons being legal to purchase in New Zealand.